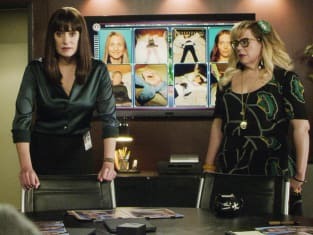 Prentiss: You're a cornerstone of this team. Rossi: Thanks. And thanks for the drink. Permalink: Thanks. And thanks for the drink. You may not believe in what I do. But right now, I can tell you're haunted by something. Permalink: You may not believe in what I do. But right now, I can tell you're haunted by something. Detective Miley: Where would Stephanie take Courtney? Simmons: I don't know. But the answer is in this office. Permalink: I don't know. But the answer is in this office. I'm multitasking. It's all the rage, Perhaps you've heard of it. Permalink: I'm multitasking. It's all the rage, Perhaps you've heard of it. Courtney: The little girl, Courtney, in your experience, is she going to be OK? Rossi: I don't know. But I'm always hopeful. Permalink: I don't know. But I'm always hopeful.